Greeting Loyal Airmen, lots of fun things to share with you this week, so let’s get right to them. Below is a Press Release with some exciting news from Airship 27 Productions. Dedicated pulp fans are aware of the fact that the concept of hero pulps was not limited to the United States. During the 30s and 40s, pulp magazines were popular all over the world and there were hundreds of original crime fighting heroes created in England, France and Germany. 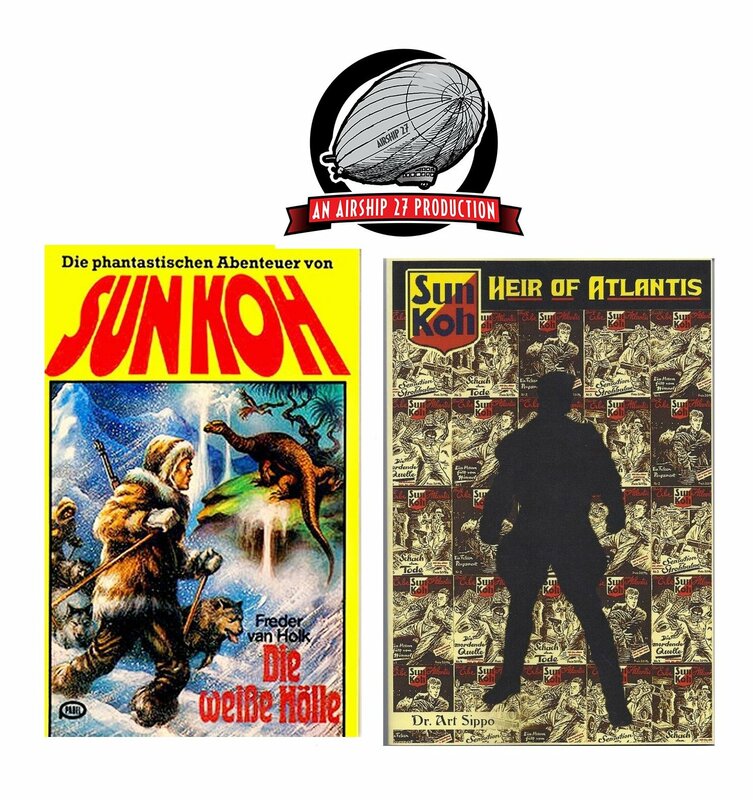 One such foreign star was Sun-Koh, Heir of Atlantis written by German writer Paul Muller and clearly intended to be an Aryan version of America’s Doc Savage. Like Savage he was larger than life and throughout his hundreds of adventurers was accompanied by a group of loyal, unique individuals. Beside the similarities there were also major differences and these were what have created an on-going controversy over this character. Whereas Doc Savage was a man of science and his companions all experts in various technical fields, Sun-Koh was slanted towards mythology and magic. He was supposedly a time-traveler from the sunken continent of Atlantis, a member of the royal family and master of mystic abilities. And although there was plenty of super scientific gizmos in his adventures, it was the magic that took center stage. His aides were also magicians, immortals and religious Hindu assassins. Quite an eclectic mix. In 2010, in the midst of the New Pulp explosion, Dr. Art Sippo wrote a brand new adventure novel featuring these characters. “Sun-Koh : Heir of Atlantis.” It premiered to rousing acclaim by pulp fans and a sequel was planned. Sadly that second book never materialized and eight years later, the first book is out of print. Now Airship 27 Productions is about to rectify all that. Over the past few days, the Air Chief entered into an agreement with Dr. Sippo to reprint “Sun-Koh : Heir to Atlantis.” We will be giving Dr. Sippo’s book the full Airship 27 treatment complete with interior illustrations for the very first time and a brand new cover. Who knows, this could spur the good doctor to get cracking on that long over due sequel. We’ll keep you posted. 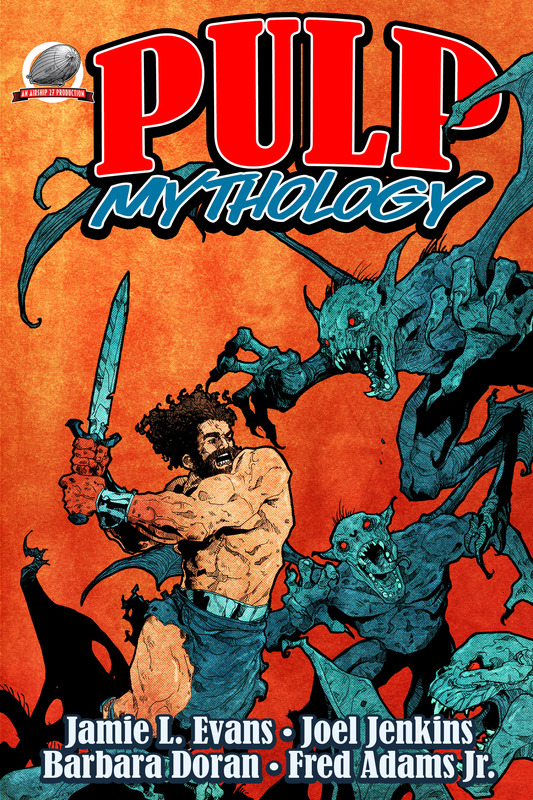 Our newest anthology PULP MYTHOLOGY – Vol One is now out. It features four stories by Barbara Doran, Jamie Evans, Joel Jenkins and Fred Adams Jr. with interiors by Clayton Hinkle and a cover by Zachary Brunner. 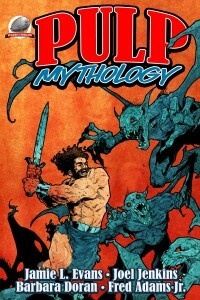 In this first volume you’ll find stories starring Hercules, Achilles, Beowulf and the Monkey King. 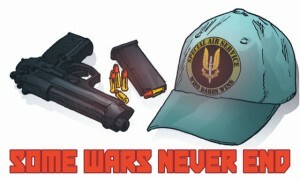 As ever the book is available at Amazon in both paperback and on Kindle. As ever, thanks for your wonderful support. Finally we leave with a little bit of a teaser. In a few months Airship 27 Productions is going to be publish “On Poisoned Ground” by writer I.A. Watson. It will mark the return of a classic pulp hero from the 1920. All of us involved with the project are extremely excited. Stay tuned. This is going to be big.